Since its inception, Hand Held Hollywood has focused primarily on apps for iPhones and iPads. We’ve even got a database featuring some of the best filmmaking apps the iOS platform has to offer. That said, the Android platform has matured a great deal over the years, and now features an impressive selection of filmmaking tools as well. SmartFilming.blog has put together a terrific list of apps for Android-owning filmmakers. However, it’s only available in German… for now. Keep your eyes on that site for the soon-to-be-released English version of the list. 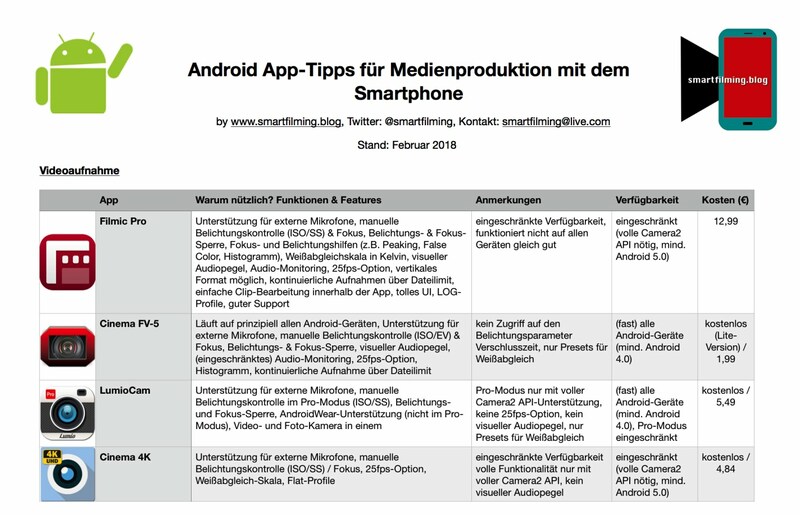 So, if you’ve got an Android, and you can read German, go check out the list.